Margaret Miller, Partner of Bell Legal Group, recently spoke at the Women in Law seminar about the #MeToo movement and gender discrimination issues. 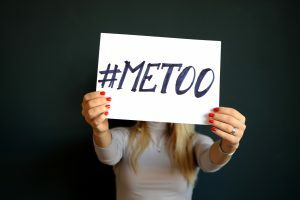 The seminar was inspired by the #MeToo Campaign and acknowledged the magnitude of issues women face in relation to sexual harassment and gender inequality. 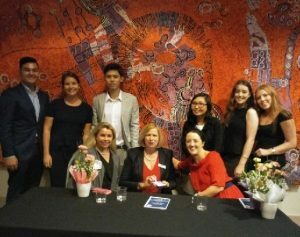 Held at Bond University on the Gold Coast on 16 March 2018, speakers came from the fields of sexual harassment and family law, domestic violence, and media to deliver a stimulating discussion of the challenges women face in the context of the law. A partner in the Dispute Resolution and Litigation team at Bell Legal Group, Margaret handles employment law disputes. At the Women in Law seminar she presented a paper about the #MeToo movement and gender issues in employment. Margaret gave some examples of Australian court intervention in this area. Employers must it seems take the issue seriously or risk the consequences. Margaret explained from an expert employment law perspective about the obligations upon an employer to have a clear written policy that is not just there but is implemented. Mechanisms must be put in place to make the policy effective including accessible complaint procedures. You can access a complete copy of Margaret’s paper here. Solicitor Rebekah O’Sullivan and barrister Simone Fraser also spoke at the event. The photo below shows Margaret with Rebekah and Simone along with the Committee that organised the event.